Our second consecutive Feature Friday release is here! 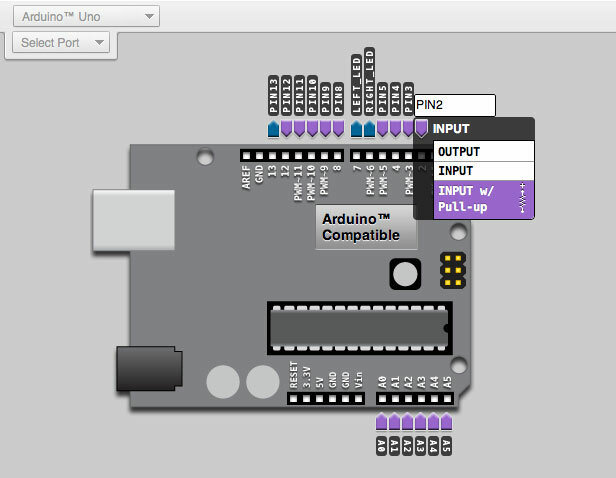 We have two new editor previews, featuring first—the Modkit MotoProto Shield, and making a return from the alpha editor—the configurable Arduino Development Board (Uno and Duemilanove and compatible). 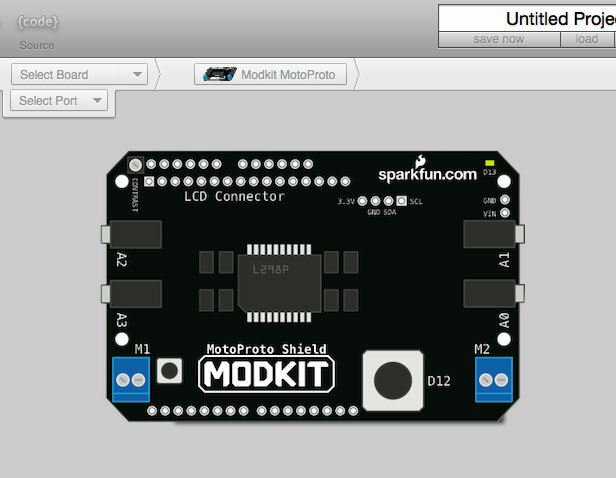 The Modkit MotoProto Shield for Arduino makes it easy to connect up to 4 sensors and control two DC motors as well as a 16X2 character LCD (LCD Blocks coming soon). 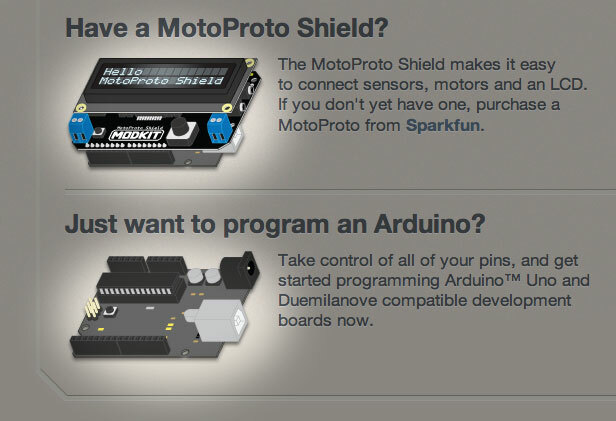 You can find out more, and if you don't have one already, you can order one now from Sparkfun. I know a lot of you have been clamoring for this part, and here it is in all it's configurable greatness. It's actually now Sunday, but we started the release on Thursday, so we'll call it a Feature Friday anyway. Stay tuned. We should have more features coming this Friday. You wouldn't need the trim pot since it is already on the shield so you could go with a slightly cheaper one(if only by a dollar).